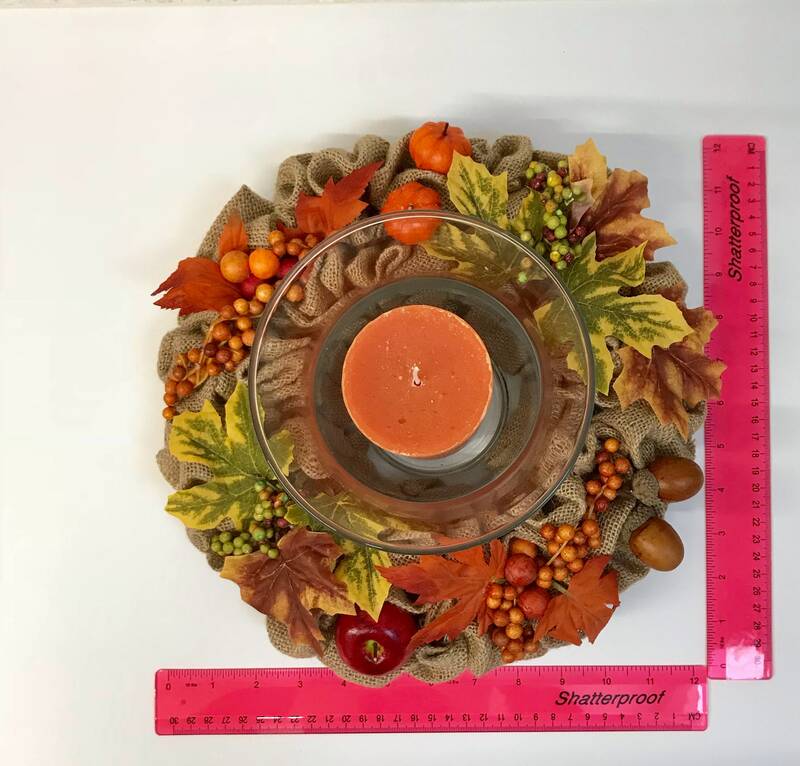 An Autumnal candle table centrepiece which can be brought out year after year, or ideal for an Autumn wedding. 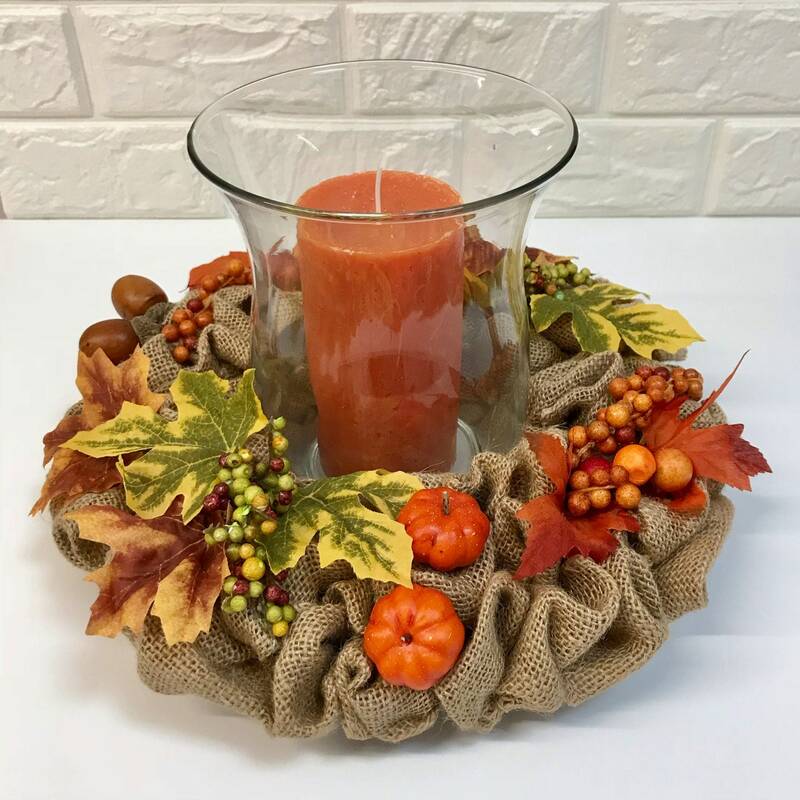 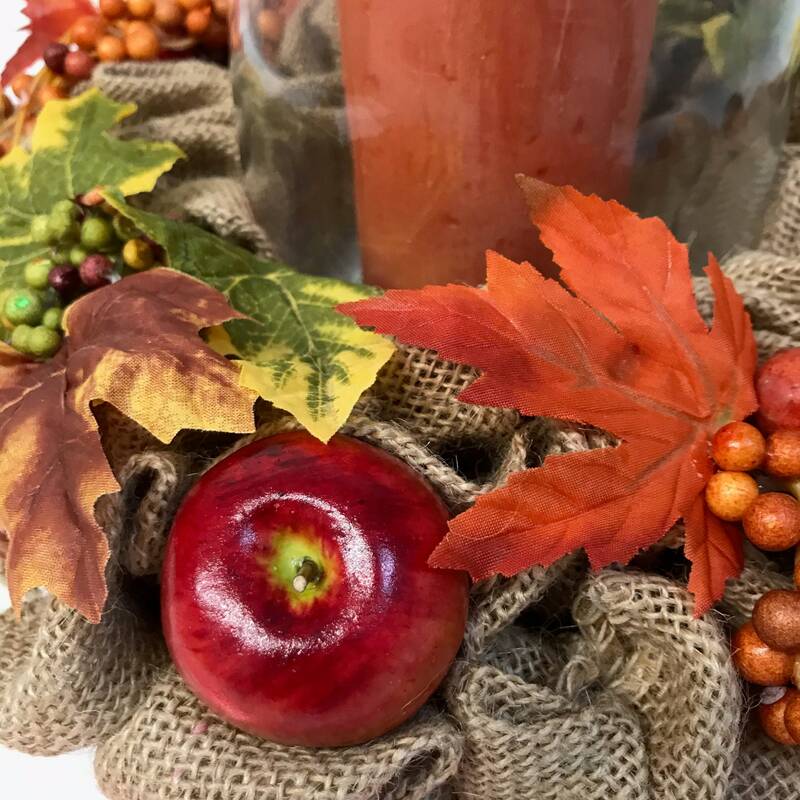 A beautiful collection of artificial (forever) Autumn flowers, foliage, berries and other decorations adoring a burlap/jute wreath. 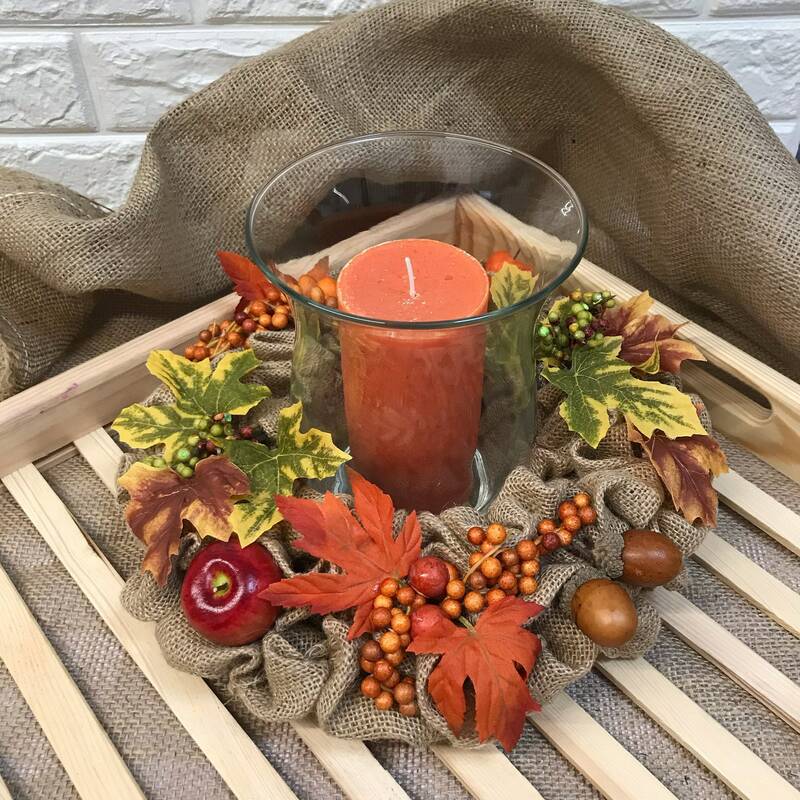 A hurricane glass sits central with an orange mineral wax candle sitting inside.